The newly renovated Courtyard by Marriott Thousand Oaks, CA hotel is TripAdvisor Award of Excellence winner located off US-101 with easy access to Burbank Bob Hope Airport, Los Angeles International Airport, Amgen, SAGE Publications, California Lutheran University and Sports Academy. Our Thousand Oaks hotel is within walking distance to over 10 restaurants. The Bistro restaurant is open daily serving breakfast, dinner and Starbucks all day! Relax in our new lounge with media pods and full bar. Our Marriott hotel in Thousand Oaks is a short drive to Ronald Reagan Presidential Library, Santa Monica Mountains Backbone Trail and Conejo Valley Wine Trail. Our Thousand Oaks hotel offers spacious rooms, complimentary basic internet and parking, as well as a fitness center and an outdoor heated pool and spa. 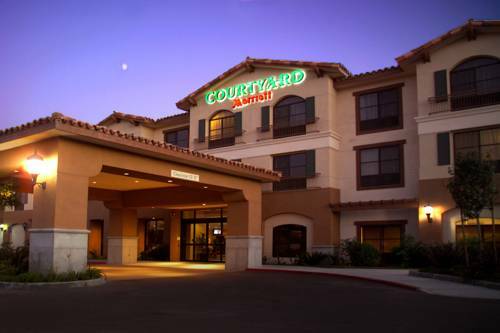 Plan your next event at the Courtyard by Marriott Thousand Oaks where you can enjoy over 1000 sq. ft. of flexible meeting and banquet space. Visit us while you're in Thousand Oaks.